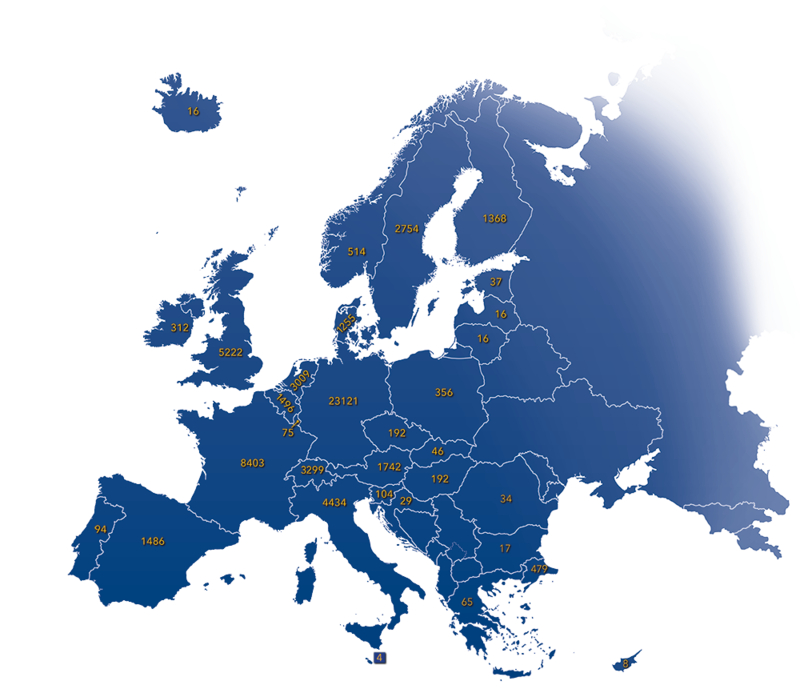 Aesthetics and technology influence each other, particularly on a continent as creative as Europe. Sometimes, a new aesthetic movement demands new technologies to achieve its ambitions; at other times, new technologies lead to new aesthetic expressions. In theatre, the discovery of perspective in the Renaissance resulted in a new stage, with scenery built in perspective. When the aesthetics of the Baroque demanded movement and spectacular effects, huge stage machinery was invented that allowed the entire scenery to be changed within seconds. The new scenery in turn forced the actors to change their acting style. 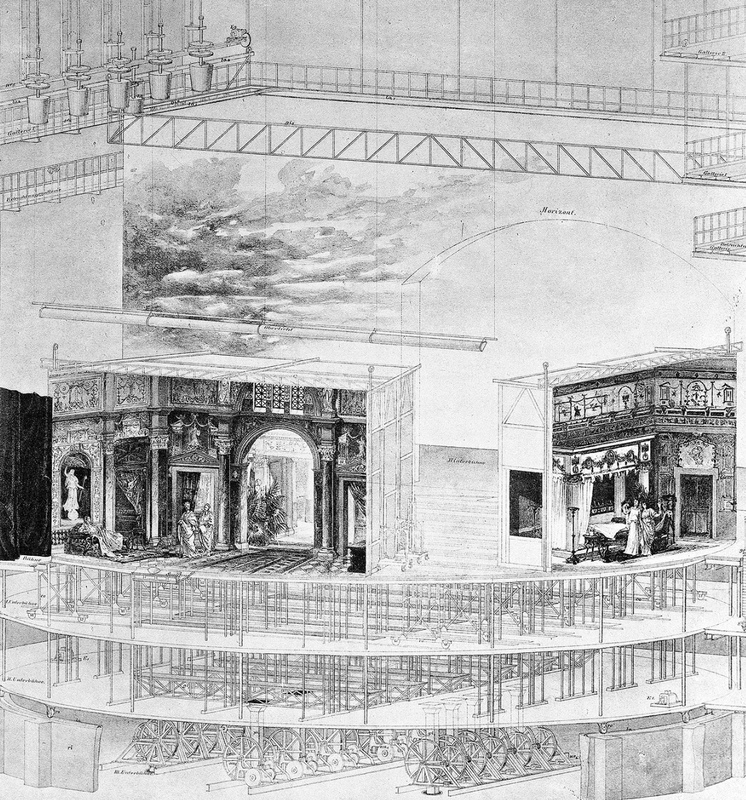 Naturalism at the end of the 19th century made the theatres abolish the painted wings on stage in favour of natural looking environments, eventually resulting in an empty stage. 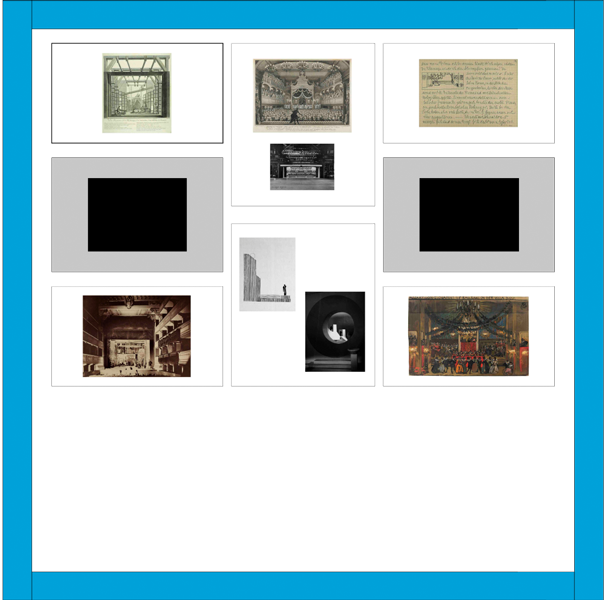 Electricity made it possible to introduce new technologies like the revolving stage, projections and film on stage, followed today by computer generated virtual scenery – each requiring a new aesthetic approach. The building was originally not designed as a theatre but as “Ballhaus” (a building for playing ball games) and converted into a theatre building between 1741 and 1748. So the original stage construction and technical equipment of the old Burgtheater dates back to the 18th century. In 1888 the theatre was torn down because it was not possible to adopt the building according to the needs of the expanding city, its growing theatre audiences and to the new technical and aesthetical standards. The new Burgtheater was built at the Ringstrasse vis-à-vis of the town hall. 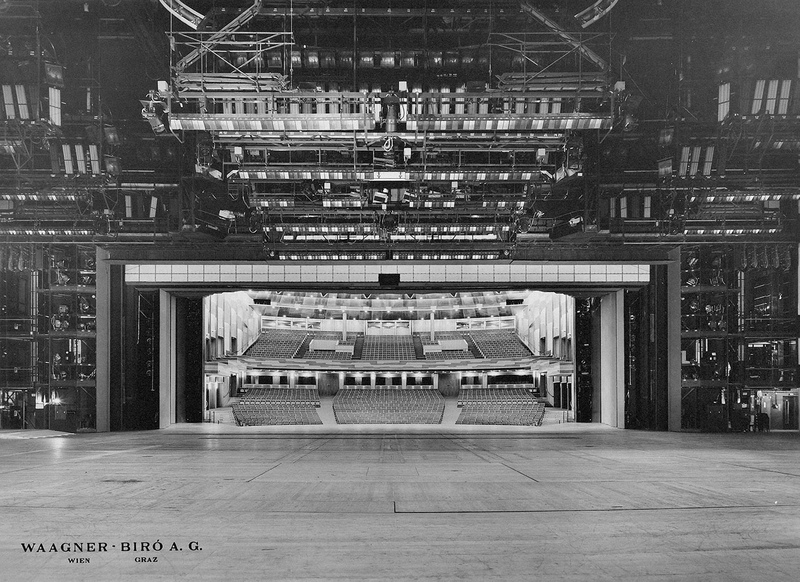 The photopraph shows a vivid impression of the building’s interior and stage equipment before it has been closed in 1888. The first Schouwburg at the Keizersgracht in Amsterdam by the architect Jacob van Campen opened in 1638. In 1664 it was decided that building became too small and had to be rebuilt more in tune with the Baroque architecture and theatre of that time. The New Schouwburg was twice as large as the old one, and opened in 1665. This interior view of the New Schouwburg shows several types of stage lighting typical for that time: oil lamps at the foot ramp, candle light on the stage and candle light in the auditorium. Unfortunately, the building was destroyed by fire in 1772. After that the theatre moved to the Leidseplein and opened in 1774 again. The Great Festival Hall was designed by the Austrian architect Clemens Holzmeister for the Salzburg Festival. The theatre was opened on 1960 July 26th with a performance of Richard Strauss’ “Der Rosenkavalier”. It is one of the largest stages in the world being 100 meters wide and the auditorium itself is square and has seats over 2,000 people. The stage machinery and technical equipment is provided by WAAGNER BIRO AG (founded 1854), one of the largest Austrian businesses in the iron and steel working industry. This interior view of the theatre shows the modern technical and light equipment from the backstage view – in contrast to the engraving of the New Schouwburg in Amsterdam that shows the situation during the Baroque. 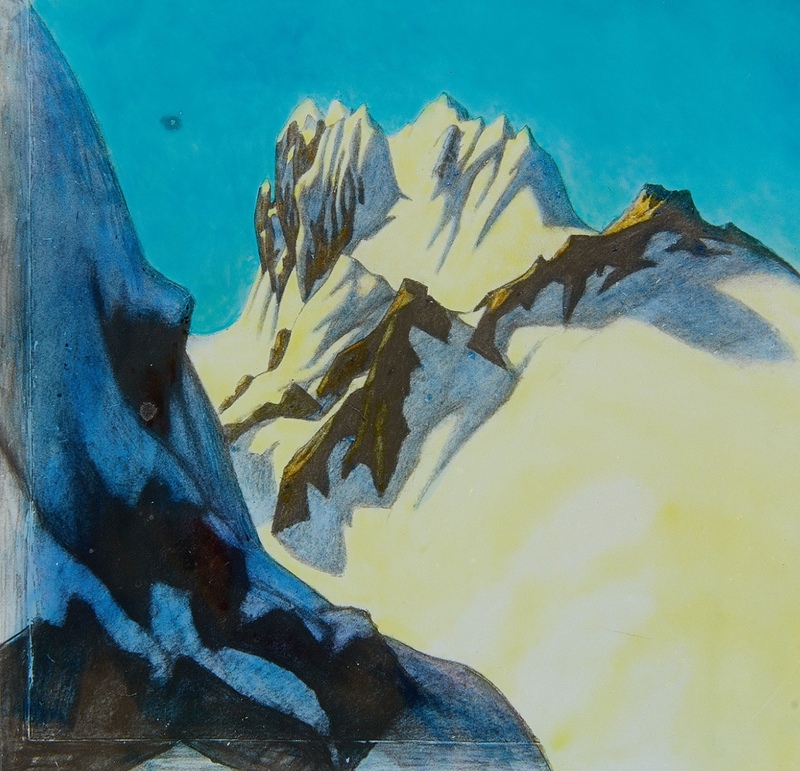 This engraving, part of a wider collection which was eventually published towards the end of Craig’s life, epitomises the simplicity he sought on stage and his understanding of space and light. Introduced to print making by artist James Pryde, Craig created works of art for pleasure as well as commercial gain. These would enable him to disseminate his ideas about theatre staging, alongside publications such as “On the Art of the Theatre”, 1912. 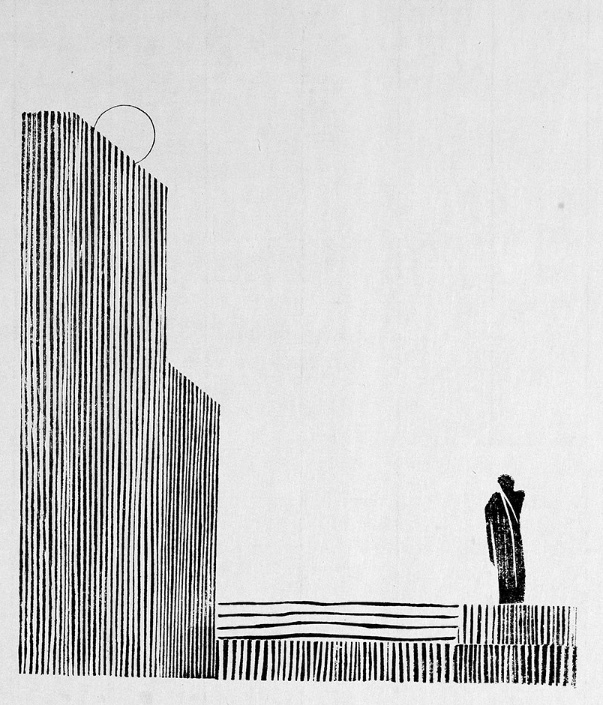 Peter Brook wrote of Craig: “the ideas that Craig stated […] are now everyday axioms in the designer’s language”. Edward Gordon Craig influenced theatre practice through such means as his rejection of the traditions of painted scenery and gas footlights. 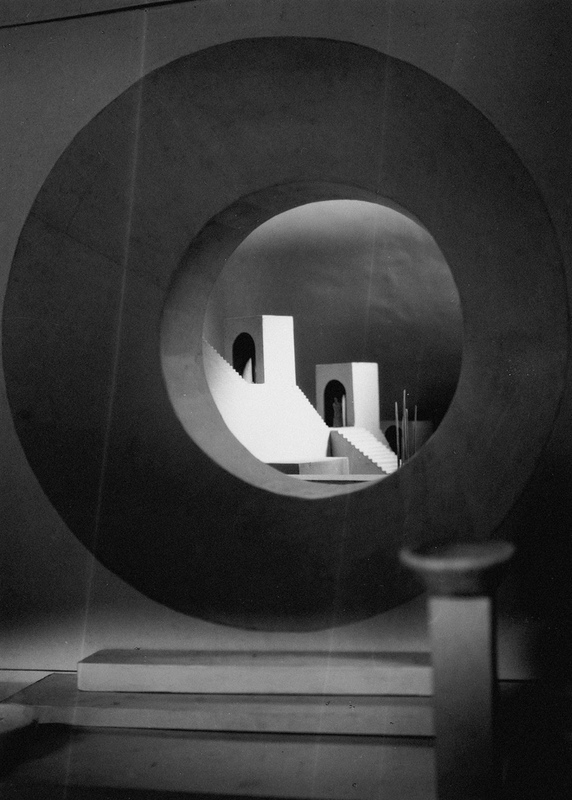 He brought staging into the 20th Century employing minimalism and electric lighting. 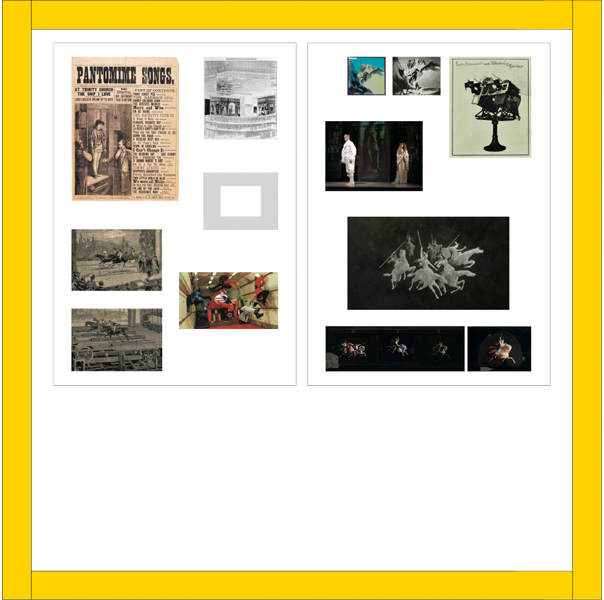 Working with Constantin Stanislavski on a production of Hamlet for the Moscow Art Theatre, he came up with this refined design, where the psychology of the character could unfold, undistracted by cluttered scenery. 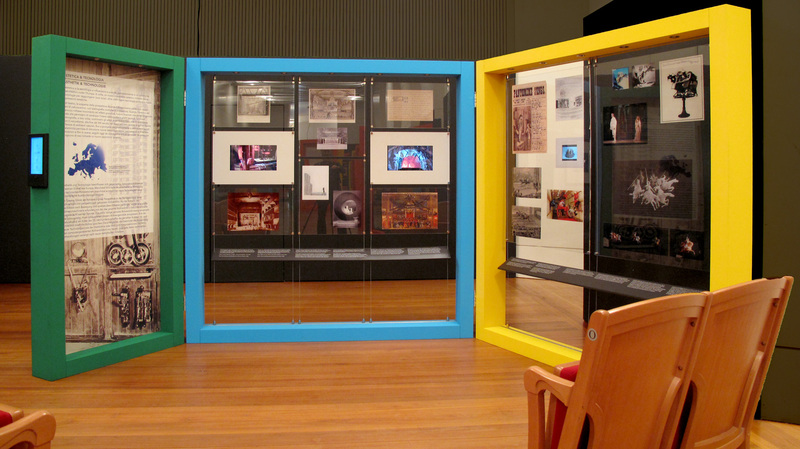 Craig’s work has inspired many contemporary directors, from Jacques Copeau to Josef Svoboda and Peter Brook. 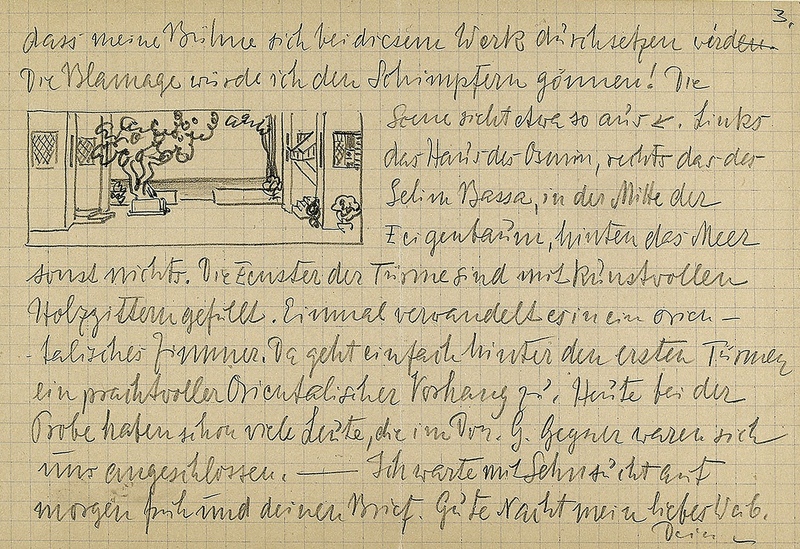 In this letter the stage designer Alfred Roller writes about his ideas for the 1906 production of Wolfgang Amadeus Mozarts “Die Entführung aus dem Serail” at the Viennese Opera House. 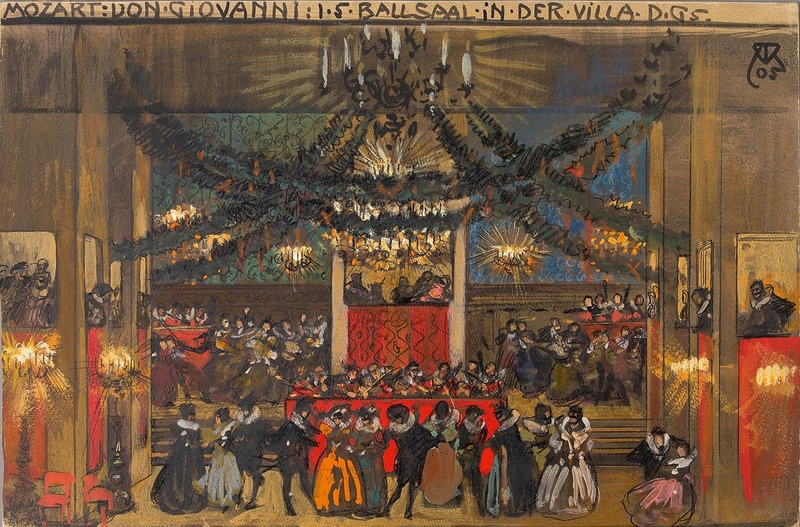 Alfred Roller was one of the most important Viennese stage designers of the first decades of the 20th century and also member of the Secession and of the Wiener Werkstätte. His intensely collaboration with the director, conductor and composer Gustav Mahler at the Viennese Opera led to an extensive renewal of the opera style. Roller was renowned for his innovative use of stage lighting (electricity! ), new technical solutions (i.e. Roller’s stage towers), and his non-academic designs. 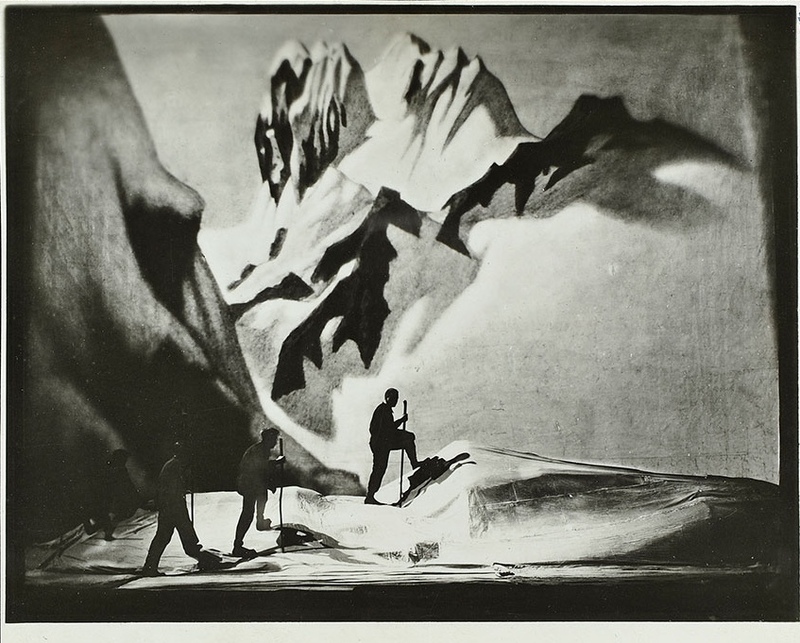 Roller had been one of the first artists designing stages without using anamorphic systems (built up with the method of perspective on plane surfaces) but using 3D elements both for interiors and exteriors (architectures and natural landscapes). In this design the towers e.g. serve as elements creating a building with windows which can be used by the performers. Technology in theatre has been used essentially for changing the scenery since the rapid scene change was invented in the 17th century. For 300 years, this rapid change was produced with wings on stage, gliding either on the floor or in chariots under the stage. 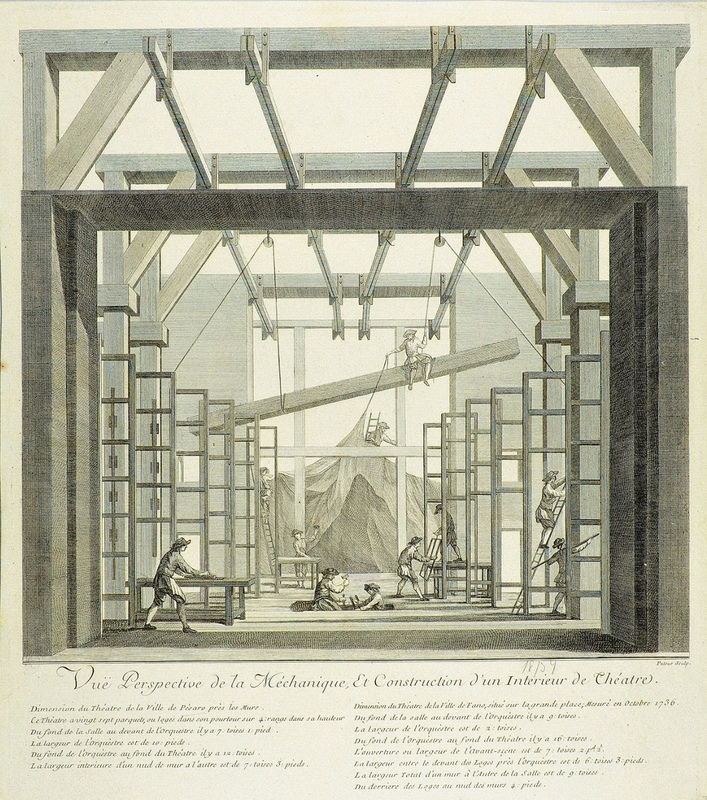 Above: view of the naked stage – without stage sets – in 1736. 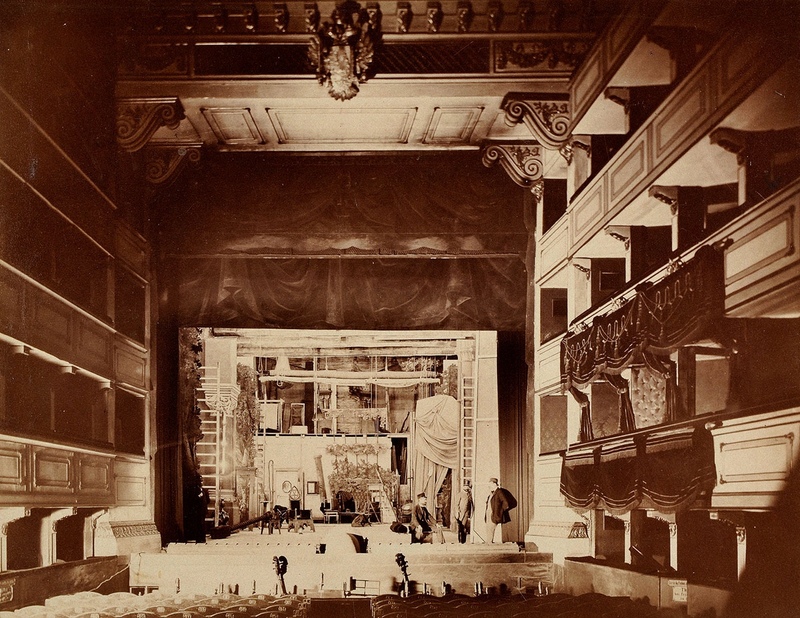 Below: a photo of the Burgtheater stage in Vienna, Austria, 1885. Light is the other main technical device in theatre. 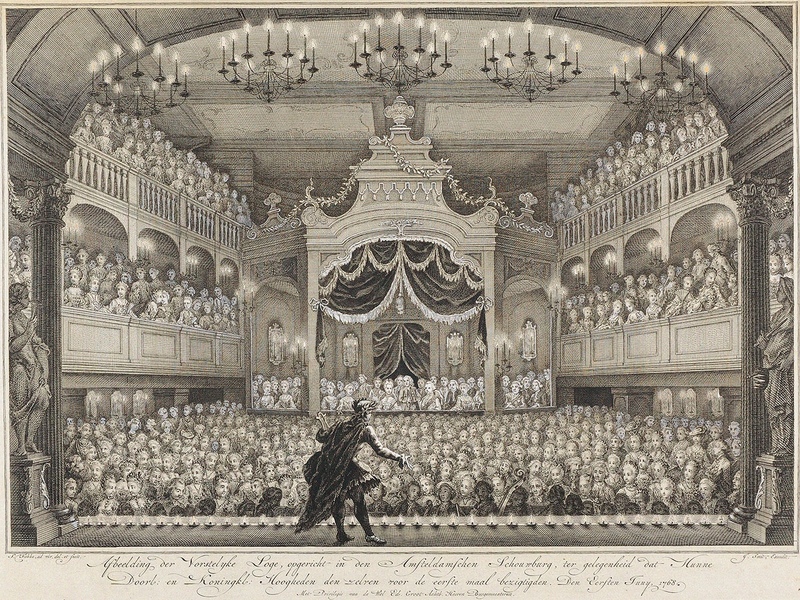 The engraving depicts candle and oil lights at the Amsterdam Playhouse, Netherlands, in 1768. The photo shows part of today’s electric light battery at the Festival Theatre in Salzburg, Austria. After 300 years of painted stage sets, reformers emptied the stage completely and introduced three-dimensional stage designs, such as Edward Gordon Craig created for his “Hamlet” in Moscow, 1912, clearing the stage to put the focus on acting, emphasized by lighting design. When the stage was cleared of painted wings and backcloths, stage designers tried to invent three-dimensional elements that transformed as quickly as the old scenery. The Viennese stage designer Alfred Roller created towers that could be moved about the stage and serve many purposes. He used these towers for two Mozart operas at the Vienna Opera in 1905 and 1906, but the idea did not spread to other theatres. 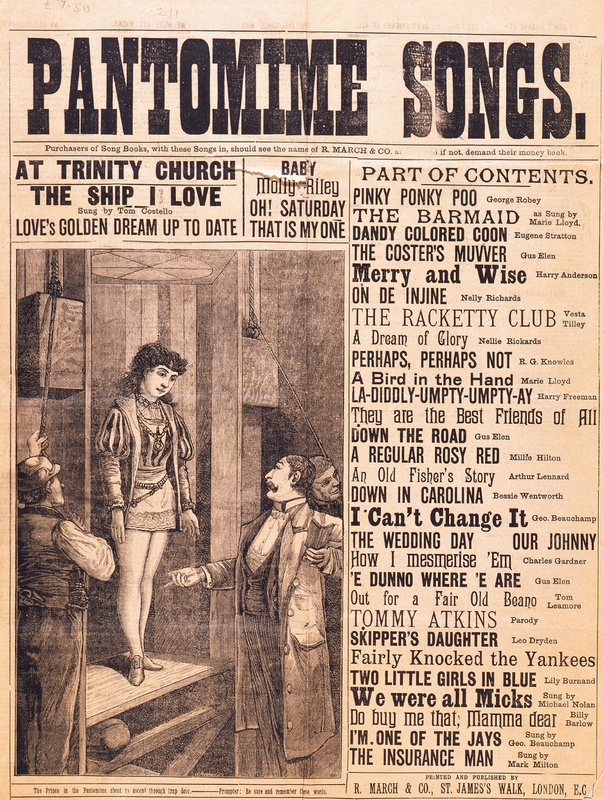 This song sheet shows an engraving documenting the use of a star trap in theatre staging. The actress stands below stage, with stage hands either side of her, ready to release the weights which will propel her upwards the moment the star trap opens. Star trap entrances were created for characters such as fairies or demons, with smoke and sound effects for great dramatic impact. However, their use was potentially terrifying and dangerous for the performer. The actor would push through the sharp edges with his head – and possibly fall back through if the trap did not close quickly enough. Many injuries were sustained. Carl Lautenschläger invented the first revolving stage for the Altes Residenztheater in Munich. The drawing was diversely realised, and the plate was put on the stage by small castors without any substructure. 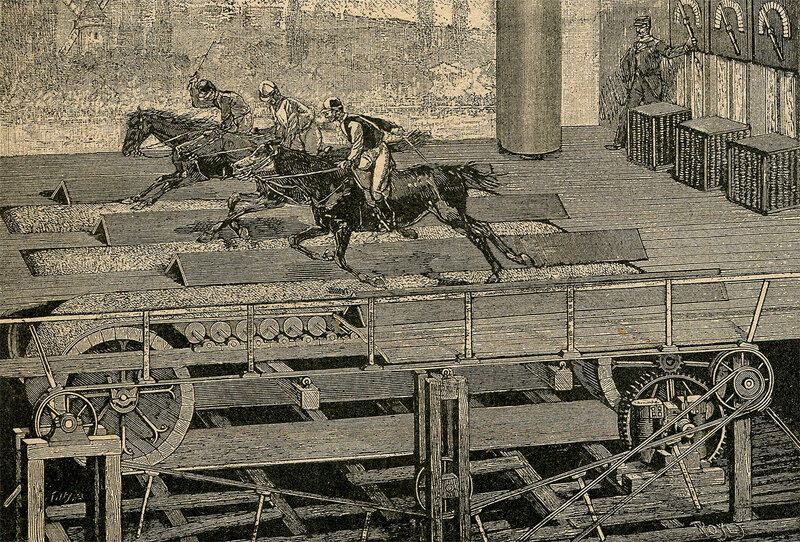 This mechanism – mainly a conveyor belt running contrary to the horses’ movement, thereby making them gallop on the spot, while the background was moving behind them from left to right – was developed by the Théâtre des Varietés in Paris and imported, complete with the engineer, by a theatre in Berlin for a revue in 1891. Remigius Geyling was the head of stage design at the Burgtheater in Vienna from 1909 to 1911 and from 1922 to 1945. For this theatre he invented a special kind of stage design based on projections. This projections were realized with glass plates, which were painted with translucent colours. The first production to use this new technique was “Peer Gynt” by Henrik Ibsen, which premiered 1925 April 25th. The projections were especially useful for plays with many changes in the scenery. It also was a new way to use electric lighting. The projection can also be seen as one of the first media on stage like video in our days. Remigius Geyling was the head of stage design at the Burgtheater in Vienna from 1909 to 1911 and from 1922 to 1945. For this theatre he invented a special kind of stage design based on projections. These projections were realized with glass plates, which were painted with translucent colours. The first production to use this new technique was “Peer Gynt” by Henrik Ibsen, which premiered 1925 April 25th. The projections were especially useful for plays with many changes in the scenery. It also was a new way to use electric lighting. The projection can also be seen as one of the first media on stage like video in our days. 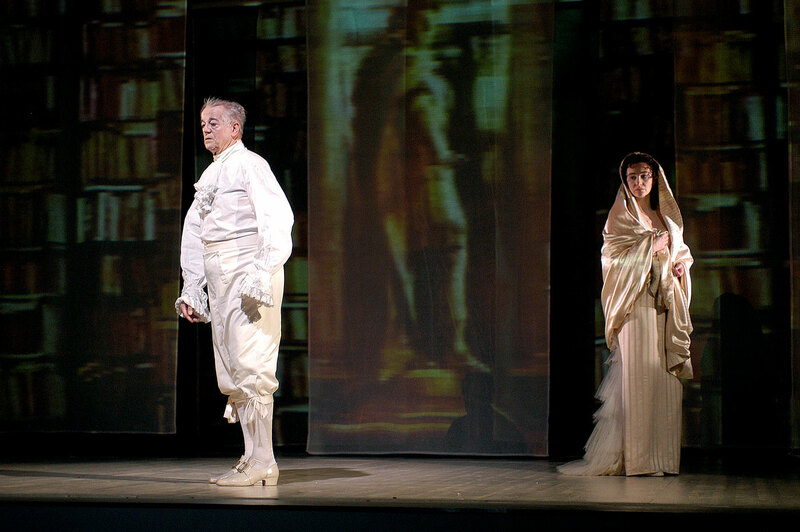 The play “Bérénice de Molière” by Igor Bauersima and Réjane Desvignes was commissioned by the Burgtheater in Vienna and premiered in the Akademietheater on 27 February 2004. For the original production Igor Bauersima directed the play himself. The stage design by the Swiss video artist Georg Lendorff consisted exclusively of projections on textile panels, sometimes also with moving images. Compared to the other stage elements presented in this chapter on aesthetics and technology this stage design presents an interesting mixture of old and new forms: while the projection and the moving images on stage are modern media solutions the textile panels remind of the wing and chariot system of baroque times. The play itself is a mixture of historic and fictitious elements telling a story about Pierre Corneille and Jean Racine writing a play about the Jewish Queen Berenice because Moliere tries to win back his favourite actress Therèse Duchamps. New technological devices become performance spaces. Here an IL-76MDK flying laboratory with zero gravity is the venue for a performance by the Slovenian group “Cosmokinetic Theatre” in 1999. 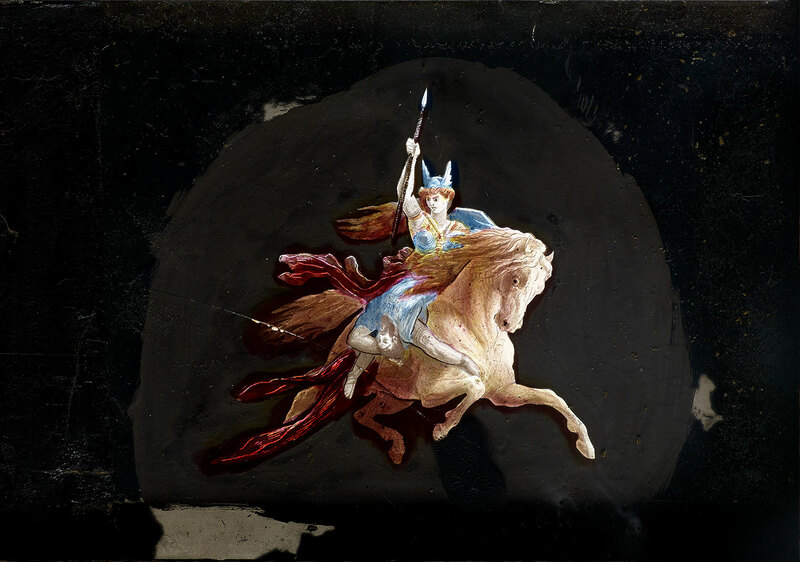 One of the earliest projections on stage (another example from the nineteenth century was found in Bayreuth). 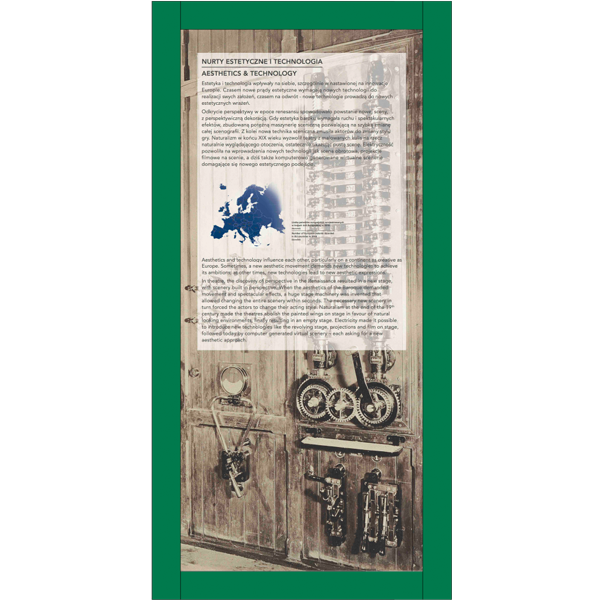 The projection plates shown were discovered in 2013 by Birgit Pargner from the German Theatre Museum whilst preparing an exhibition about Richard Wagner. 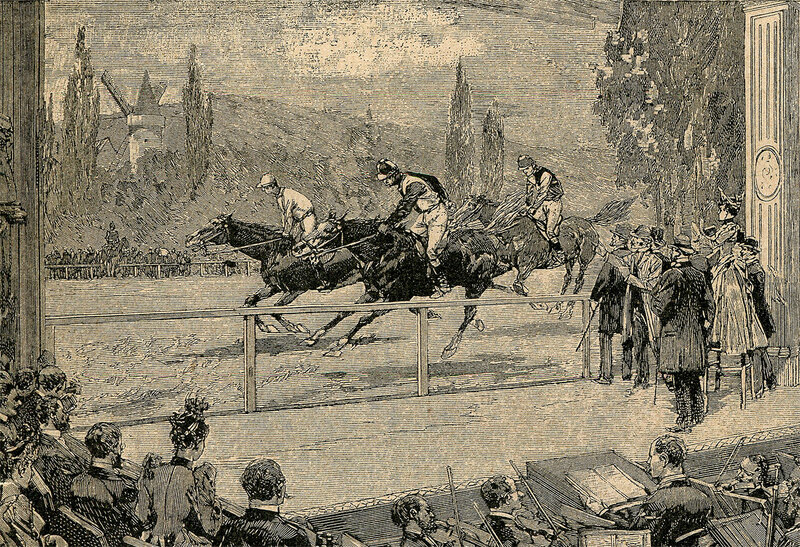 Spectacular tricks of the 19th century stage included the “star trap” that catapulted the actor on stage, and conveyor belts to help imitate horse races on stage with real horses. In the 20th century, the idea was occasionally reversed: new technological devices became performance spaces, e.g. 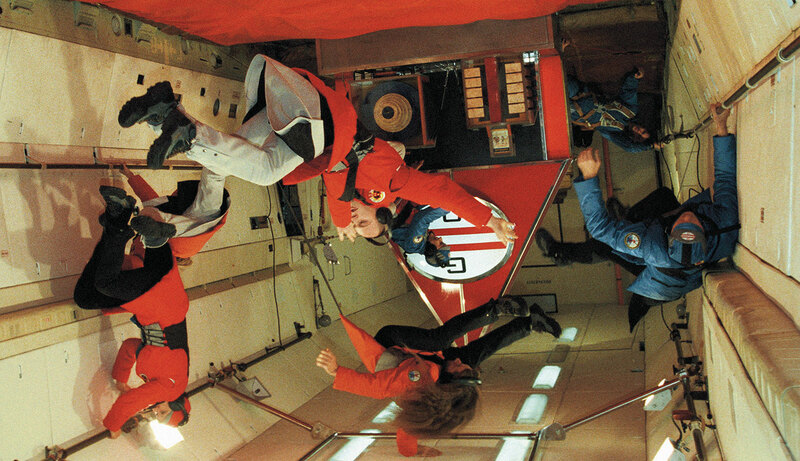 an IL-76MDK flying laboratory with zero gravity – venue for a performance by the Slovenian group “Cosmokinetic Theatre” in 1999. 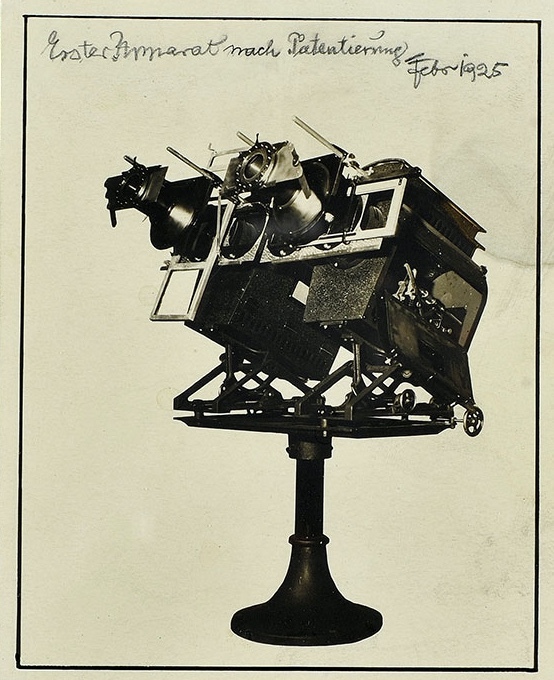 A new device that was quickly accepted by the theatres around Europe was the revolving stage, invented by Carl Lautenschläger in 1896 (above: original sketch by Lautenschläger). Here different sceneries stand on a disk that rotates in order to execute the scene changes. Simple lighting effects were already used in the Renaissance. But it was the introduction of electricity that made new aesthetic solutions possible. 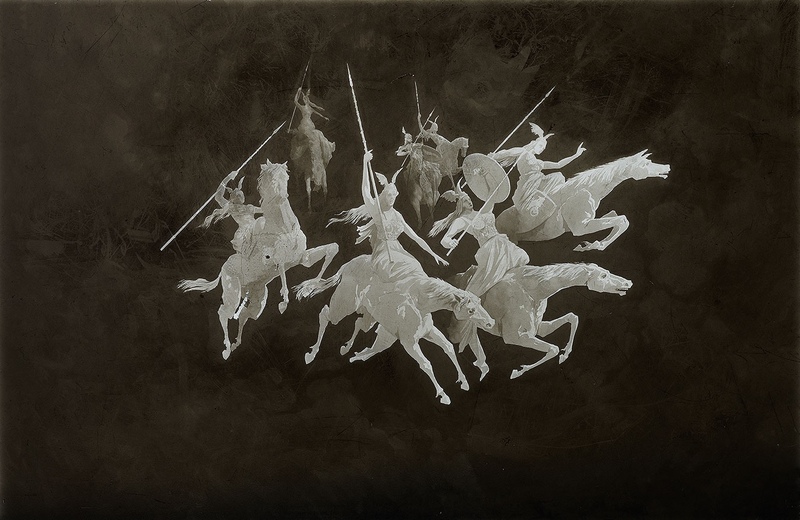 Projections, for example, had already been attempted with pre-electric sources, as for the ride of the Valkyries in Wagner’s opera “Valkyrie” in the late 19th century. But with electricity, an entire background could be projected (above, in 1925). And today, the complete stage set can be computer-generated.